with multiple languages on each label. Conventional Clinical Label designs are normally used for single language studies, although in some cases if the text will fit they can be used with multiple languages on each label. 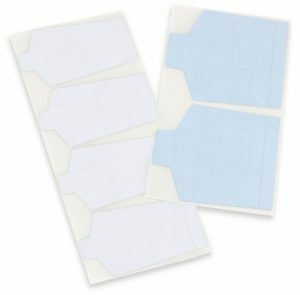 All of our fanfolded Conventional Clinical Labels are available with packaging tabs. These are non-attached Label-ID’s (LID) that contain a computer generated code the uniquely identifies every label that we print. These codes are used in our manufacturing process to control ranges and labels to be replaced after inspection. LID’s are also used by our clients to request replacement labels if a label is damaged during the application process. These labels can be used on any type of clinical dispenser and on any packaging level within the study design. 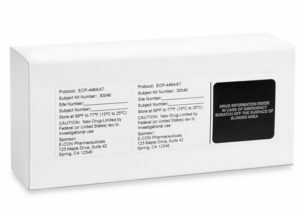 Each removable panel can be used to comply with the requirements of the protocol, whether it be a casebook or a dosing verification. 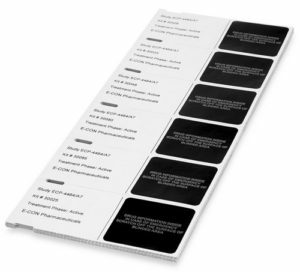 Blinded labels can be supplied that include a section with unblinding information that is masked with a tamper evident scratch-off laminate. 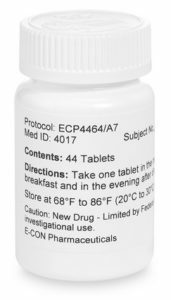 If the drug associated with the blinded conventional clinical labels must be unblinded in the field, the laminate surface can be scratched off with a coin to reveal the treatment data concealed below. Sometimes when labeling vials, you may have more text to place on the label than will fit on an area of the maximum labeling height. To alleviate that constraint, we can create a slope-cut label design. This type of label has an adhesive area affixed to the vial up to the full labeling height but then has a taller larger segment that rises above that section to place the additional text. 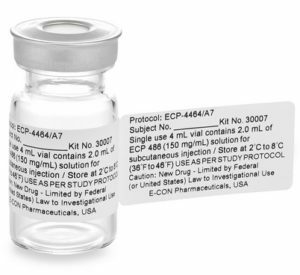 Product that is administered in tubes and used in clinical trials often must be covered up to blind the pre-printed copy on the tube itself. To accomplish this, we create custom die shapes with opaque backed material to completely wrap around the tube and conceal the pre-printed information. 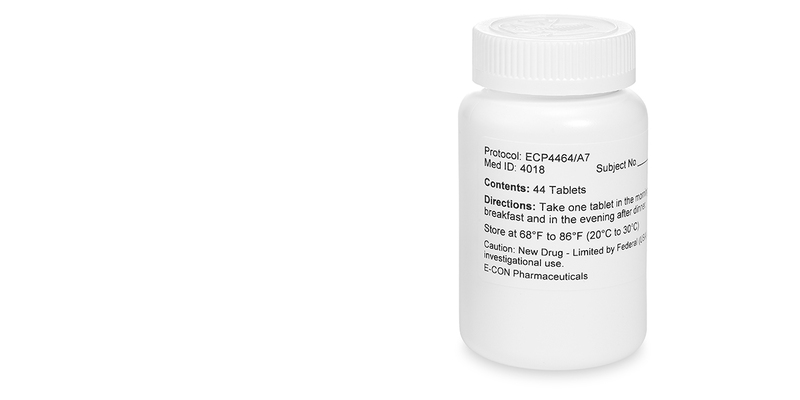 The study text can be printed directly onto the surface of these conventional clinical labels for your drug trial. If it is necessary to have the ability to unblind a subject in your trial design, we can offer you a Treatment Unblinder report. These reports list the primary clinical dispenser identification data as well as the actual blinded treatment associated with each dispenser. The segment of the report with the unblinding data is masked under a tamper evident scratch-off laminate that is secured over the blinded copy. If unblinding is required out in the field, the laminate surface can be scratched off with a coin to reveal the data beneath.